ATXchange is a nonprofit, Michigan-based web site where people can buy, sell, trade, or give away assistive technology. A site that is dedicated to Internet based disability resources. The Arc Kent County provides individuals with development disabilities the assistance to advocate for their own concerns. Part of a nationwide movement that has significantly improved the lives of many individuals, the Arc Kent County has existed for more than 50 years and is affiliated with the Arc Michigan and the Arc US. Disability Advocates of Kent County exists to advocate, assist, educate and inform on independent living options for persons with disabilities and to create a barrier-free society for all. The American Epilepsy Society (AES) promotes research and education for professionals dedicated to the prevention, treatment and cure of epilepsy. The Work Incentives Planning and Assistance (WIPA) project is a federally-funded initiative to educate and assist individuals with disabilities, and those who support them, to understand the benefits and risks of going back to work, and/or increasing their work income. IncomeLinks assists people to generate income by starting their own micro-enterprise. Medicare.gov is a consumer beneficiary website that provides access to information about Medicare health plans and benefits. Helen DeVos Children’s Hospital is recognized for its outstanding pediatric comprehensive services. Kent County Intermediate School District (Kent ISD) provides services to twenty local public school districts and to all non-public schools within its boundaries. Michigan Rehabilitation Services (MRS) partners with individuals and employers to achieve quality employment outcomes and independence for persons with disabilities. 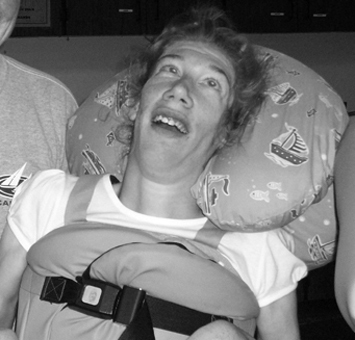 VSA brings students with disabilities together with artists and art projects.